The Asian Development Bank (ADB) has retained its growth forecast for Southeast Asia at 5.1 percent for 2018 assuming robust consumption and infrastructure investment, says a report from the Asian Development Bank (ADB) released on Wednesday. The U.S.-China trade war has affected the business strategies of 68% of multinational companies operating in Asia, according to a recent survey. Three years ago, almost to the day, the world looked on in amazement as 195 nations signed the Paris agreement into effect. 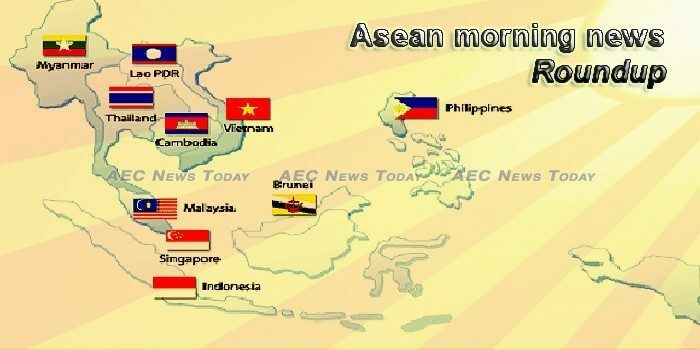 The Association of Southeast Asian Nations (ASEAN) has launched a safe migration campaign to increase public awareness of the advantages of employing migrant workers. Lawmakers from across Southeast Asia maintained that the proposed extension of martial law and suspension of the privilege of writ of habeas corpus in the entire Mindanao would pose threat to human rights. Japanese language tests will be held in eight countries, mainly in Southeast Asia, as part of screening for applicants seeking new visa status for foreign workers. South East Asia and India still have a fair bit to do in order to catch up with the rest of the world in terms of palm oil sustainability, said an industry expert from the RSPO. Singapore-based TNB Aura has announced the final close of its inaugural Southeast Asia venture capital fund, TNB Aura Fund 1. As the world continues to globalise at a rapid pace, the demand for better and more efficient technology will skyrocket. Asia is one of the regions most affected by natural disasters, like the super typhoons named above. Dominating the news headlines twice in one week is not something done often by dairy majors anywhere in the world, never mind Southeast Asia. The just-concluded Philippine-led regional forum on gender mainstreaming has provided a positive outlook on gender perspective in the Association of Southeast Asian Nations (ASEAN), the Philippine Commission on Women (PCW) said Wednesday. Following the agreement of 196 countries during the UN Biodiversity Conference to ensure the achievement of global biodiversity targets through actions at the global, regional, national, and sub-national levels, ASEAN Centre for Biodiversity (ACB) Executive Director Dr. Theresa Mundita S. Lim expressed hoped for the hastened integration or mainstreaming of biodiversity conservation in development sectors such as agriculture, health, tourism, infrastructure, finance, and climate change. Malaysia is well on its way to crossing the threshold into high-income and developed country status in the coming years, said the World Bank. Malaysia’s oil and gas industry recorded 19 consecutive months of year-on-year growth, up 13 per cent in October, according to the latest Monster Employment Index (MEI). Malaysia’s October 2018 manufacturing sales rose 10.2% year-on-year to RM73.1 billion from RM66.3 billion, said the Department of Statistics Malaysia. While growth is set to ease in 2019, Vietnam will still be among the top 10 fastest-growing economies globally, according to a report recently released by the Institute of Chartered Accountants in England and Wales. The Asian Development Bank (ADB) and Joint Stock Commercial Bank for Investment and Development of Việt Nam (BIDV) signed a US$300 million loan agreement on Wednesday to support the growth and productivity of small and medium-sized enterprises (SMEs) in Việt Nam. Vietnam enjoyed its largest trade surpluses with the United States (US) and European Union (EU) in the first 11 months of 2018, according to the General Statistics Office (GSO).